Those of you who drive cars and trucks with modern diesel engines know that there is an extra tank that needs to be filled. In addition to diesel fuel, these vehicles use a product known as diesel exhaust fluid, (DEF). DEF is sprayed into the exhaust system where, along with a special catalytic converter, it reacts with diesel exhaust to create harmless outputs of nitrogen, carbon dioxide and water vapor. DEF itself is a harmless mixture of synthetic urea and water. Because federal emissions laws require diesels to use this fluid, the tank must be refilled periodically. A vehicle with an empty DEF tank will not run. 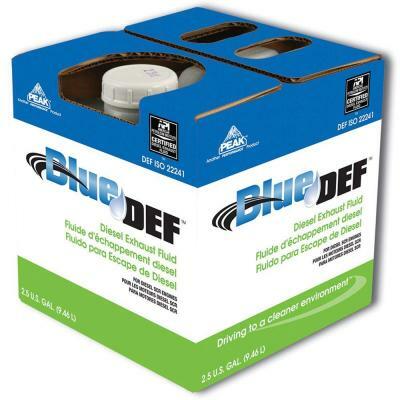 You will find BlueDEF either online at homedepot.com, or at your local Home Depot store at or near the Hardware department. This is one of many new products being introduced to expand our automotive offerings.